USB products, cables & accessories. 1. 4 port hub, 2.0 version. 2. USB powered, plug and play. 3. 6 LED lights, on/off switch. 4. Beautiful design, gentle light ray. 6. Simple and easy to use. 7. Flexible to adjust the lamp direction. 1. Measurement: 250mm. 2. Net Weight: 72g/pcs. 3. Gross Weight: 128g/pcs. 4. 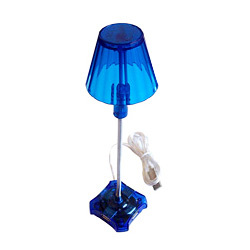 Package Content: (1) USB Retro Lamp with 4 port hub. (2) Customized gift box ( measure: 10.2x7x15.5cm). (3) Customized Logo available. 5. Packaing Details: (1) Qty: 50pcs/ctn. (2) N.W. : 6.5kg. (3) G.W. : 7.5kg. (4) MEAS: 52x37x34cm.